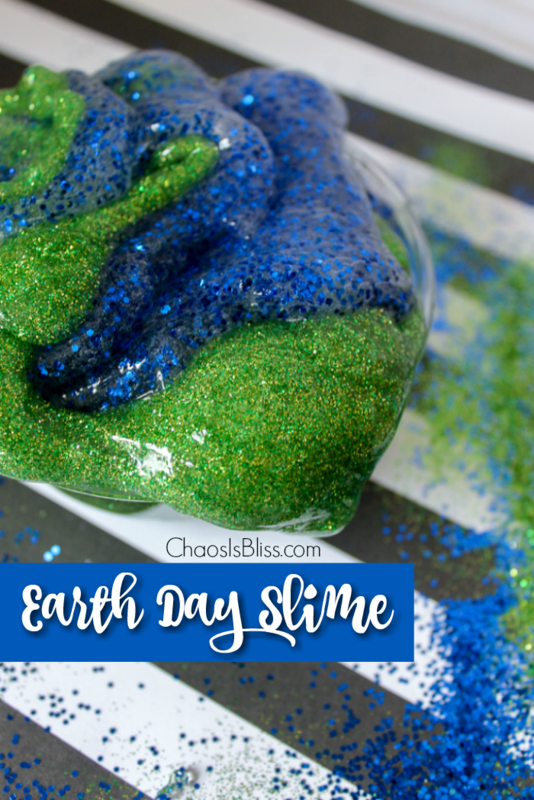 Here’s a fun DIY Earth Day Slime you can make with your kids, with bold colors and lots and lots of GLITTER! 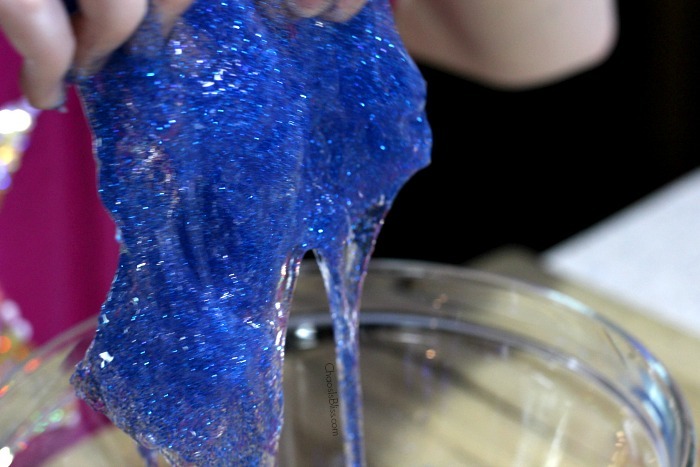 Many times when my youngest daughter has a friend over, she asks to make slime! 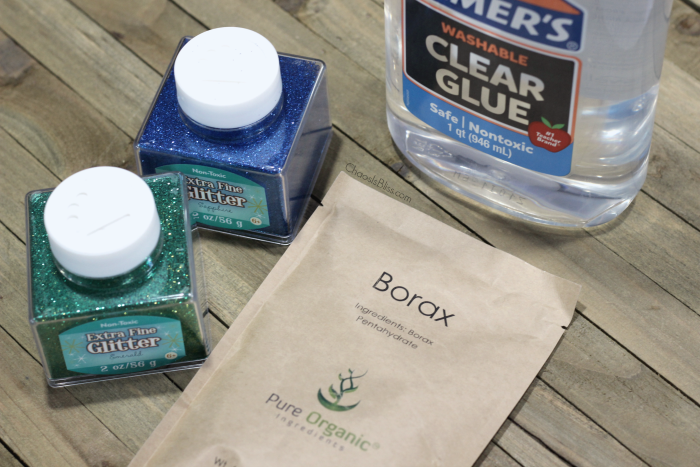 I’m not the craftiest person (and I kind of don’t like messes), but I found a way to make your own slime using Borax, clear glue and glitter … just a few ingredients! 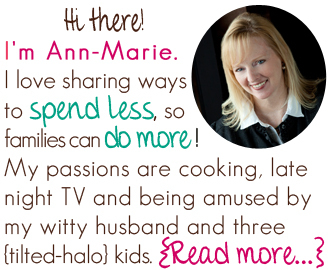 I’ve included links to purchase some of the supplies online, which I found much easier than heading to a craft store. (2) 5 oz bottle of clear glue, or I found this larger bottle on sale which will last us for LOTS of slime-making! 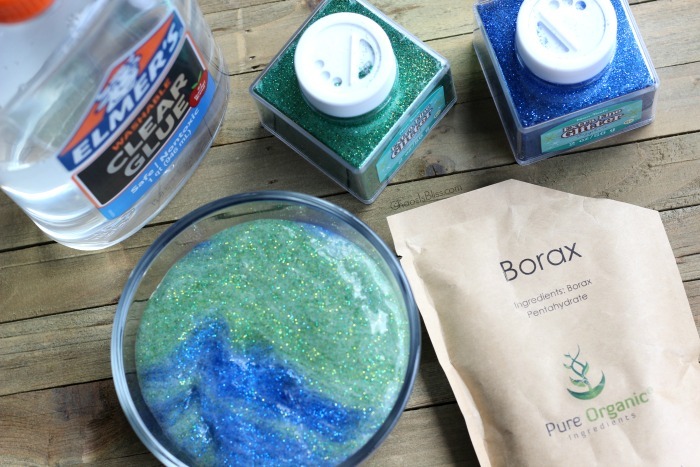 Pour 1 cup hot water into a bowl; mix 1/2 tsp of borax into the water. 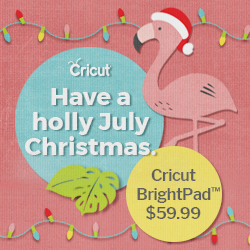 In a second bowl, pour ¼ cup of room temperature water. Squeeze out (or measure and pour from a larger bottle) 5 ounces of clear glue into the water. 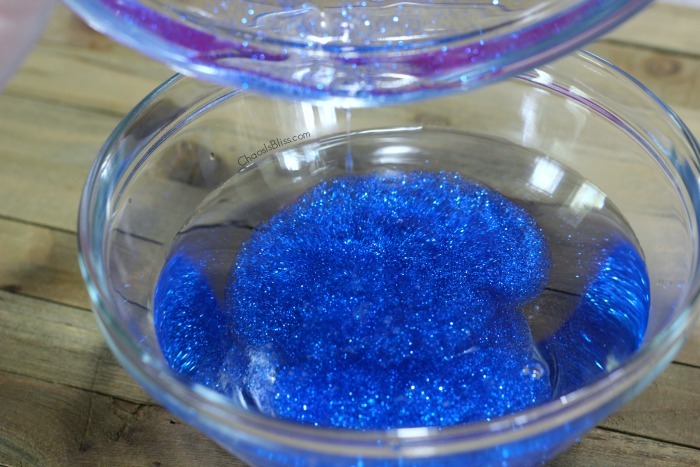 Add in the blue glitter. Stir it all together slowly, but well. Pour the glue mixture into the hot water and borax mixture. Let sit for 20-30 seconds, long enough to rinse the bowl. The slime will start to form pretty fast in the hot water. 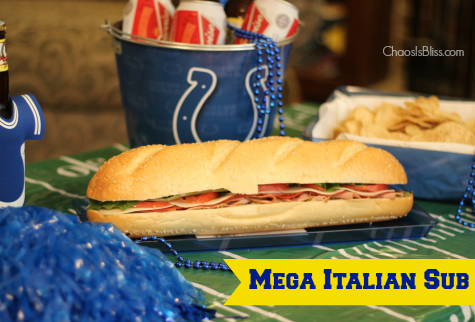 Pull it out and put it in the empty bowl. It will be pretty sticky at this point. That’s ok! Knead it for a few minutes and it will thicken and set. 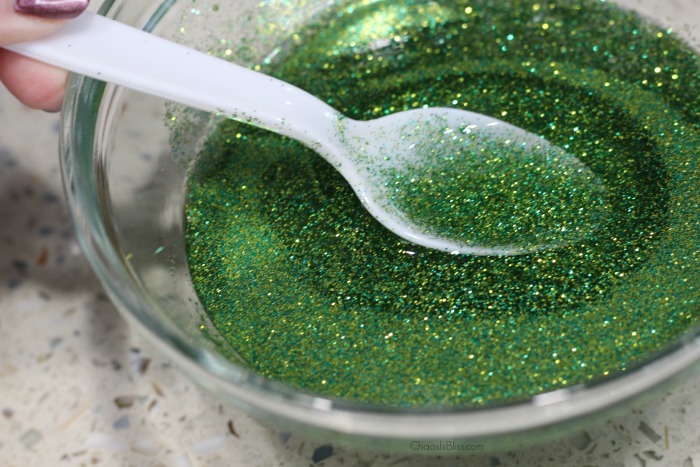 Repeat the process, except this time add green glitter instead. 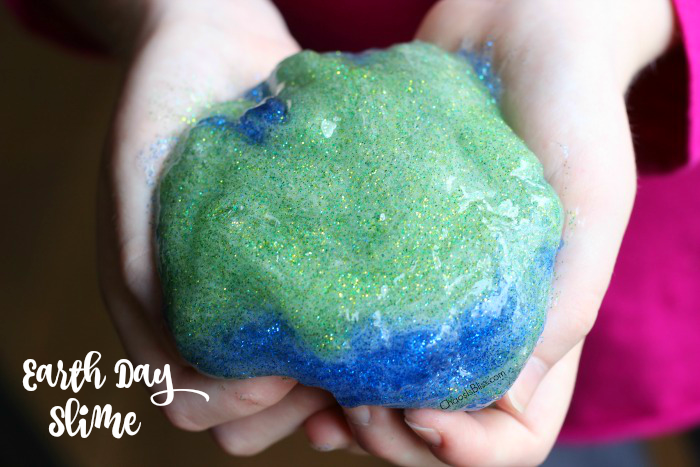 Have fun swirling your blue and green slime together! Squish the colors around to see if you can make it look like our planet! 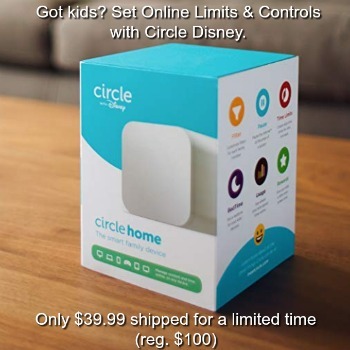 Like doing crafts with your kids? 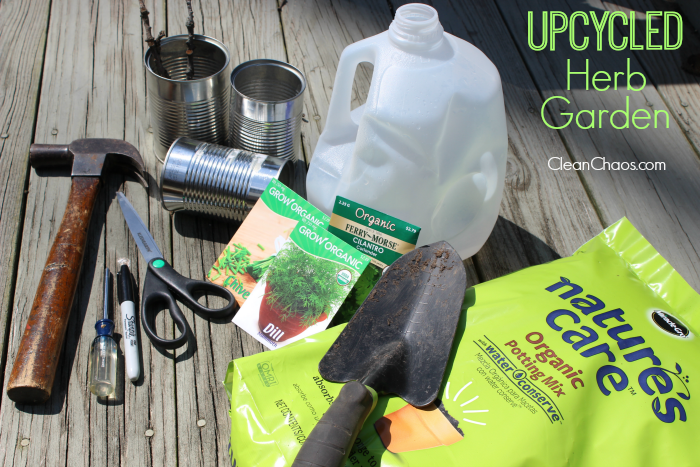 It’s the perfect time of year to make an upcycled herb garden from my sister site, Clean Chaos!